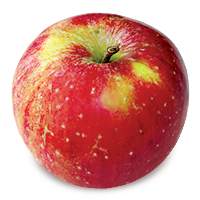 NEXT TO “What is the best pie apple?” the question I am asked the most — and which I frequently ask others — is “What is your favorite apple?” It’s not an easy question to answer. 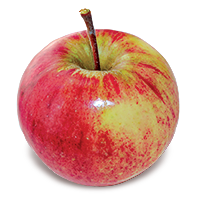 It’s not something you can even ask about a strawberry or a banana, and there are many ways to slice it. 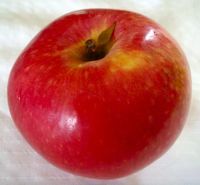 No other fruit locates us in place and time as apples do, or has the power to remind us of important people in our lives. 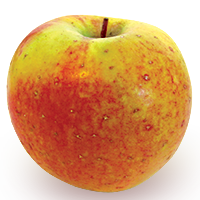 On a macro scale, apple myths and stories serve as historical milestones across cultures and centuries. 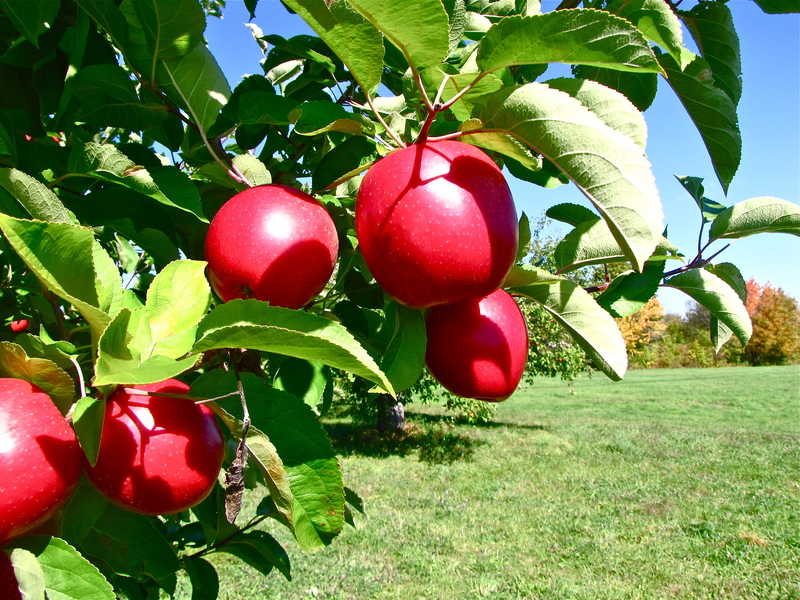 From this fruit we glean attitudes toward commerce, cooking, diet, and landscape, as well as religion and science, from Adam and Eve to the Golden Apple, from Sir Isaac Newton to Johnny Appleseed, each with its particular context and meaning. 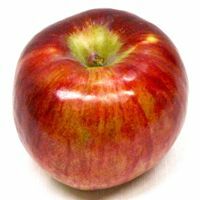 Apples continue to leave cultural footprints today, in New York City, otherwise known as “The Big Apple” since the 1920s, and in commerce: the Beatles’ Apple Record label in 1968, and the Apple computer company in 1976. 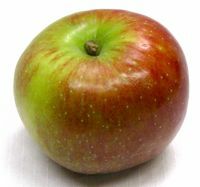 Apple Computer carries its apple imagery one step further, naming its iconic personal computer after New England’s iconic apple: McIntosh, or simply Mac. 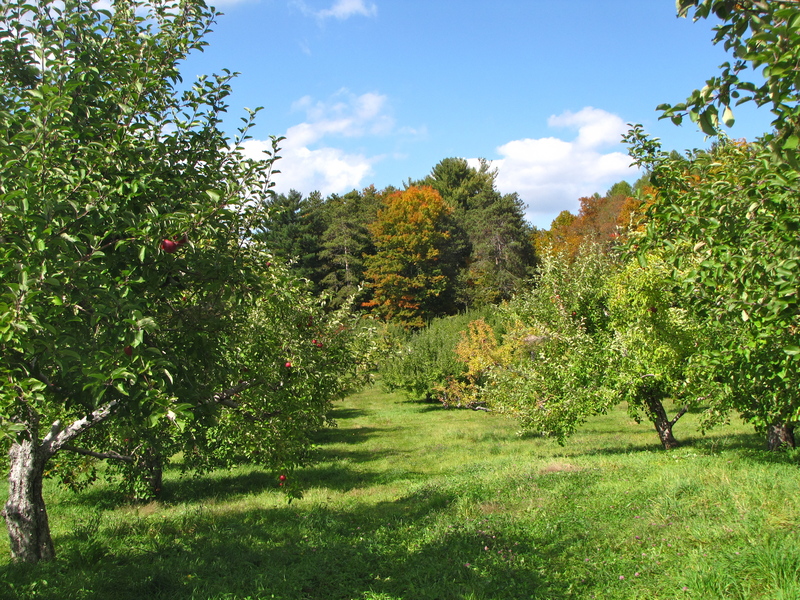 On a micro level, many people have strong personal and emotional ties to apples, a grandfather or uncle who owned an orchard, perhaps, or a youthful job sorting, picking, or selling apples at a neighbor’s. 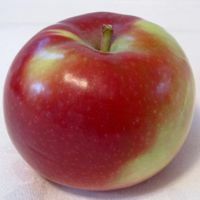 Apples are uniquely tangible legacies of our mothers and grandmothers through the knowledge of a favorite pie apple and hand-scrawled recipes on ancient index cards stained with egg white threads and traces of cinnamon. 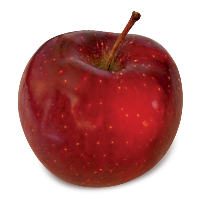 Apples have many associations for us, culturally and as individuals, and my personal experience influences my favorites. 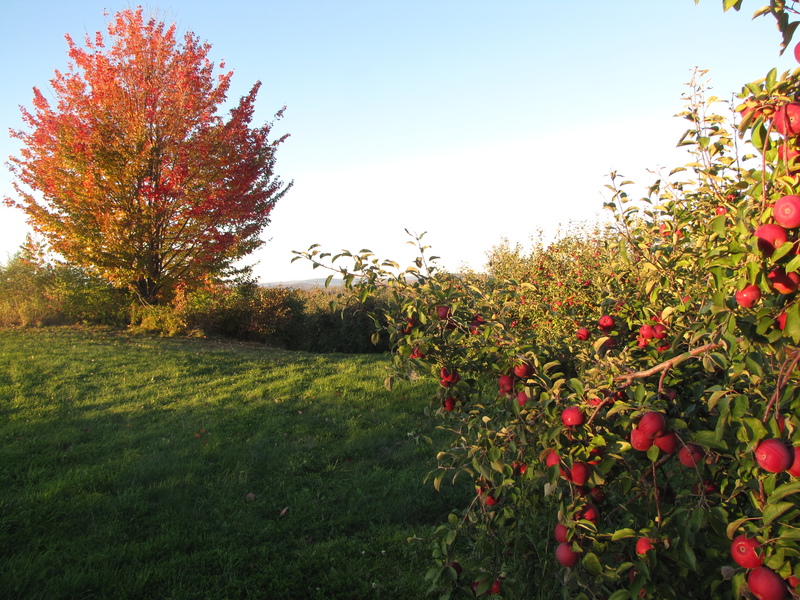 I grew up with McIntosh and Cortland, and Northern Spy is my mother’s favorite pie apple. 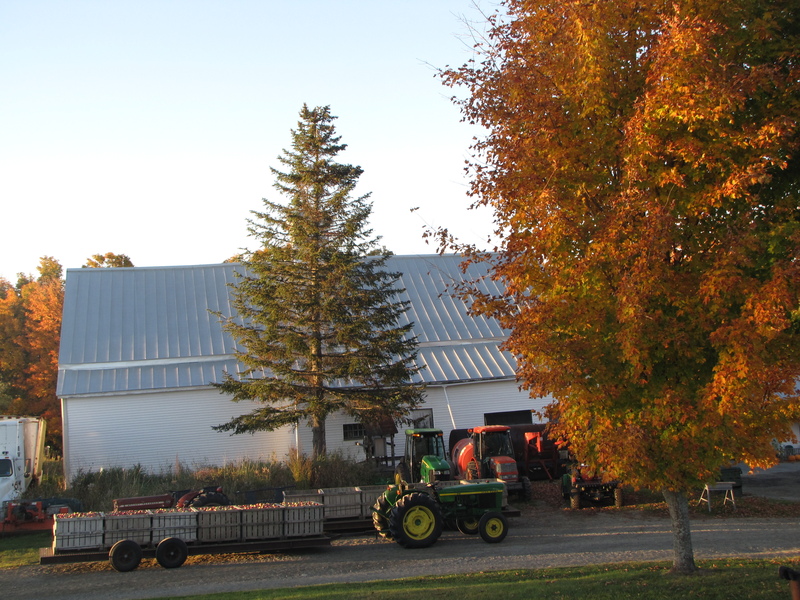 My friend uses nothing but Cortland in his pies for 25 years. I’m sure his daughter has taken notice. 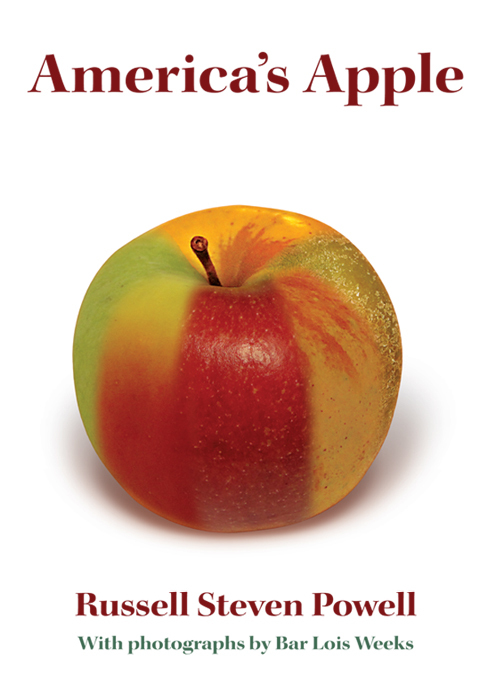 These associations help explain why every apple has its fans: an apple may evoke warm memories of places as well as people, adding depth to its eating appeal. 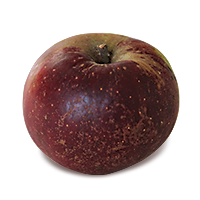 Jonathan, a beautiful red heirloom from New York, is a favorite of a friend from the Midwest, where it has long been popular, and much to his chagrin it is not widely grown in New England. 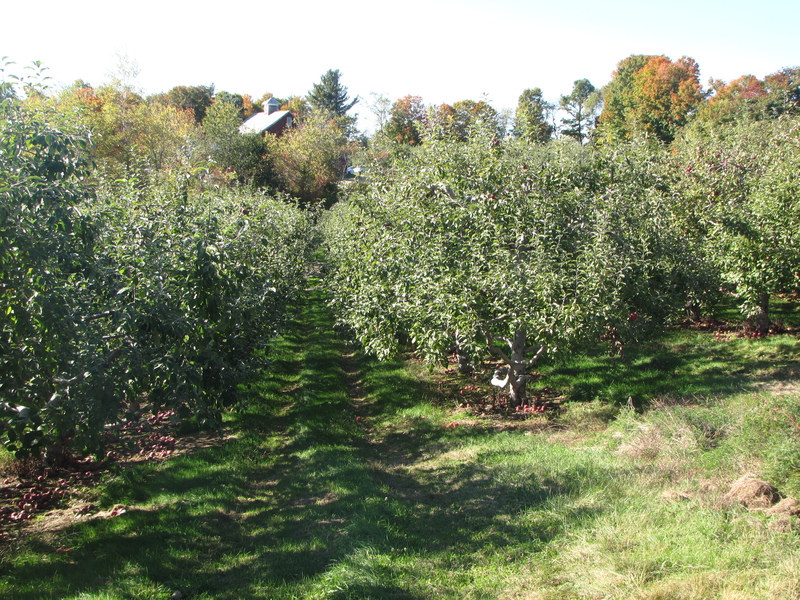 Black Oxford, despite its distinctive color and good eating qualities, is rarely found outside of its native Maine. 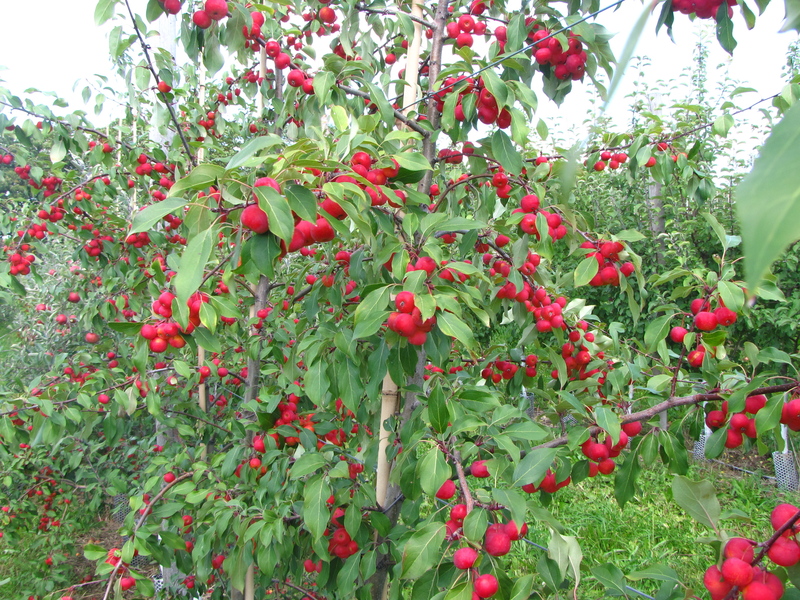 It may be that a variety has superior flavor only when grown in certain soils and climates. 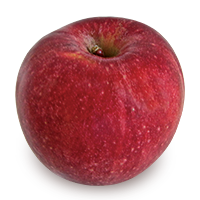 Wolf River is a favorite of many Wisconsin natives, where the apple is also native; in New England it is typically valued more for its exceptionally large size than its mild flavor. 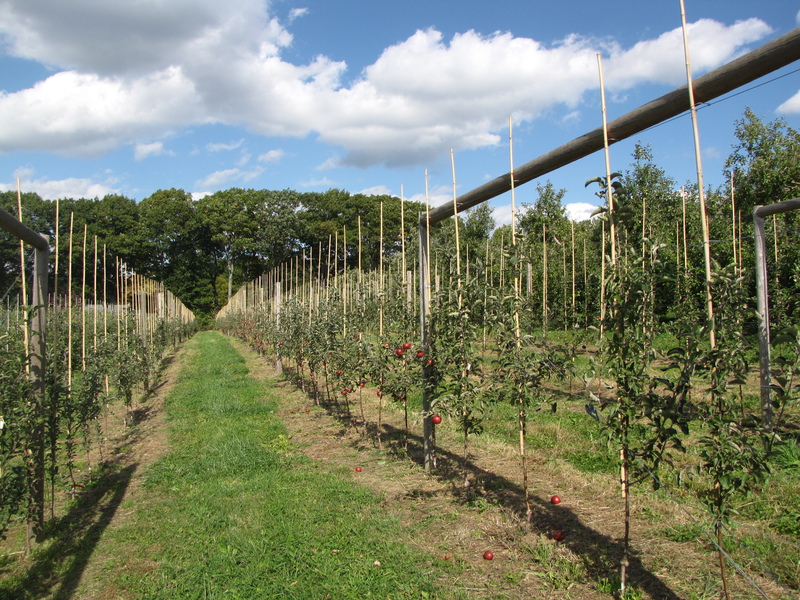 Propagated through grafting, apples are direct descendants of the original tree of the variety, sometimes centuries old; eating one is like ingesting a bit of history, a living reminder of the rural, agrarian roots of now-urban settings like Roxbury, Dedham, and Wilmington, Massachusetts, or Hartford, Connecticut. 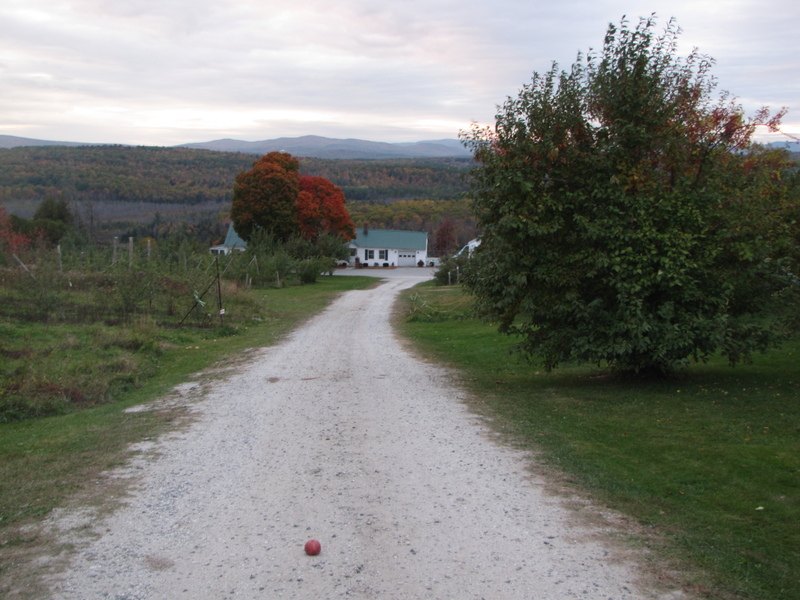 With names like Tinmouth, Bethel, and Boxford, apples continue to celebrate small towns in New England’s rural countryside, too, or else perpetuate the memory of a farmer, landowner, or statesman, such as the Massachusetts apple Baldwin, named for a distinguished war veteran, public servant, and civil engineer, Col. Loammi Baldwin. 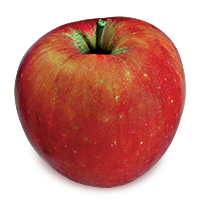 An apple’s history, no matter how illustrious, does not make it taste any better. 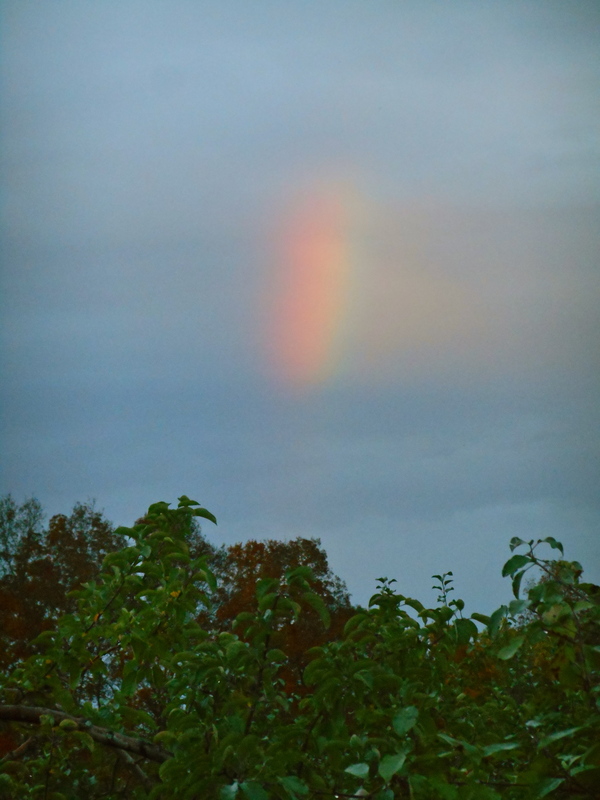 Still, knowing its unusual or local story can influence my choice. 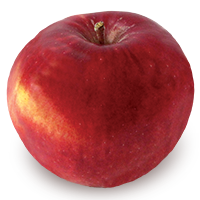 THIS LONG PREAMBLE to my list of favorites is necessary to explain why I can only narrow it down to eight apples. 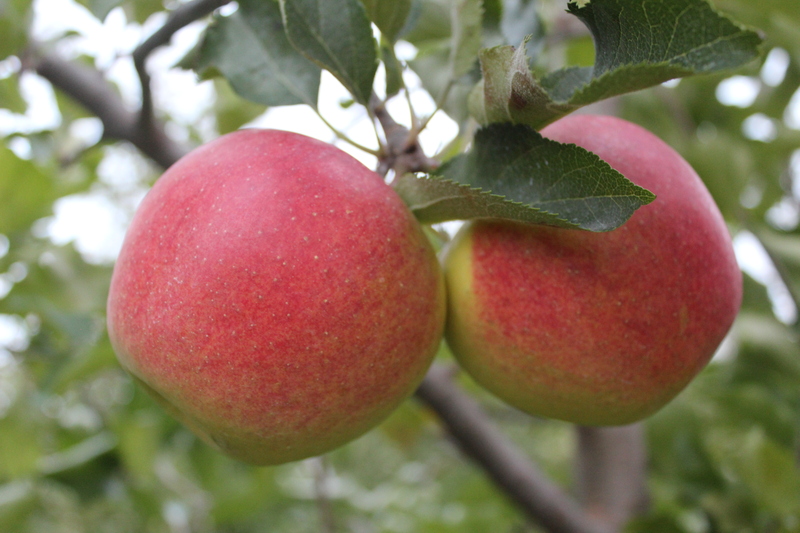 Akane and Sansa are two of the best of the early season apples. 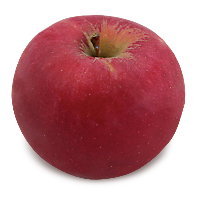 I’ve rarely met a russeted apple I didn’t like, such as Roxbury Russet, America’s oldest named variety (1635). 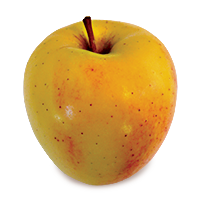 It is hard to imagine a better all-purpose apple than Cortland or the sweeter Golden Delicious, or a more interesting apple than the orange russet, Ashmead’s Kernel. 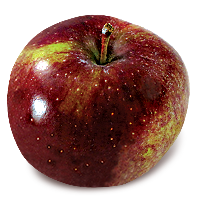 Some apples have vintage years, like fine wines. 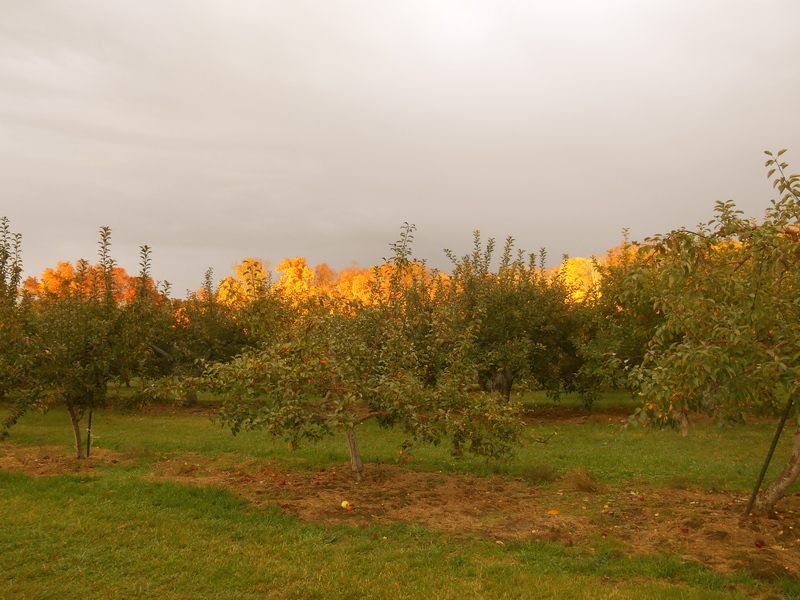 Two years ago, Ginger Gold from Tougas Family Farm in Northborough, Massachusetts, were the best I ever had; last year it was Shamrock from the University of Massachusetts Cold Spring Orchard in Belchertown. 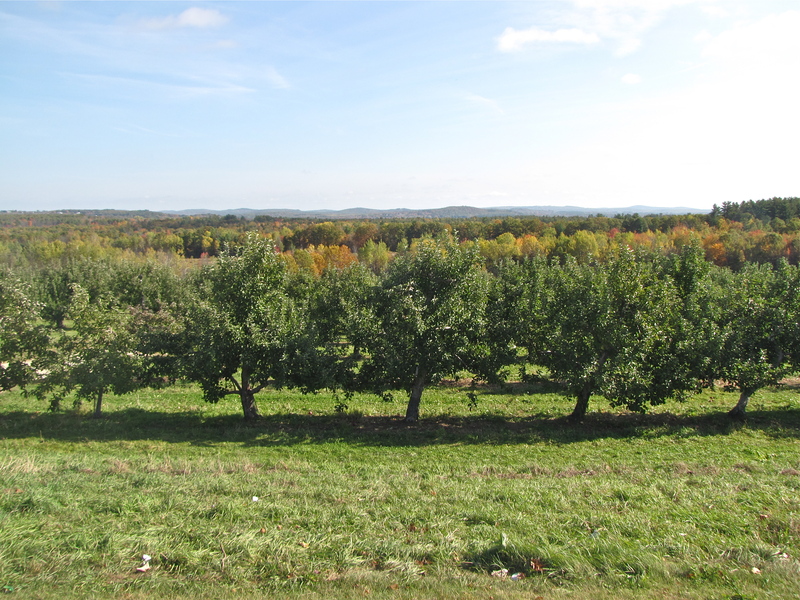 This year, two relatively hard-to-find apples were particularly noteworthy: Gravenstein, from Atkins Farms in Amherst, Massachusetts, and Suncrisp, from Ricker Hill Orchards in Turner, Maine. 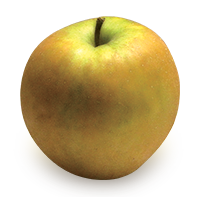 Both were exceptionally crisp and juicy with a tantalizing, lemony tart flavor and looks to match. 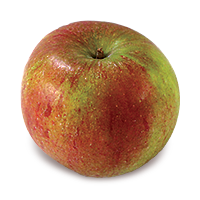 Gravenstein’s red and green blend like a watercolor, Suncrisp’s rich yellow has beautiful pink cheeks or stripes. 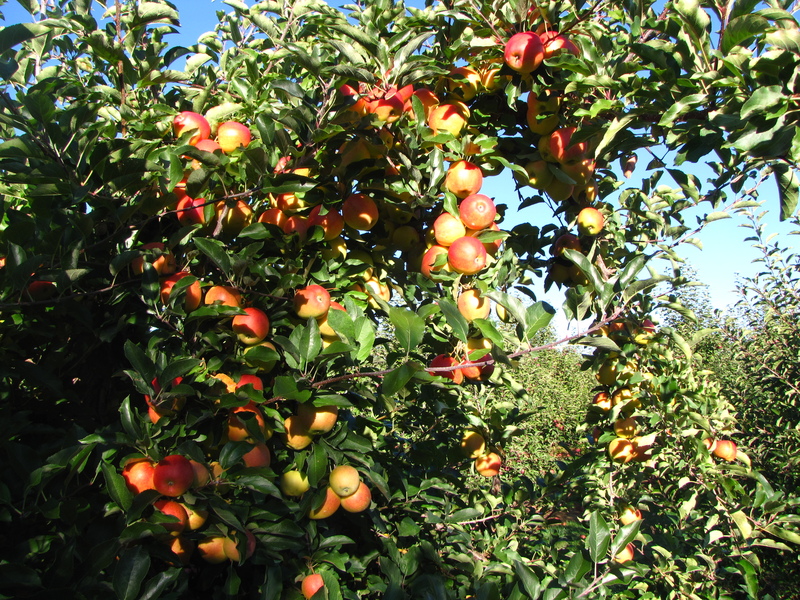 But none of these fine apples make my list. 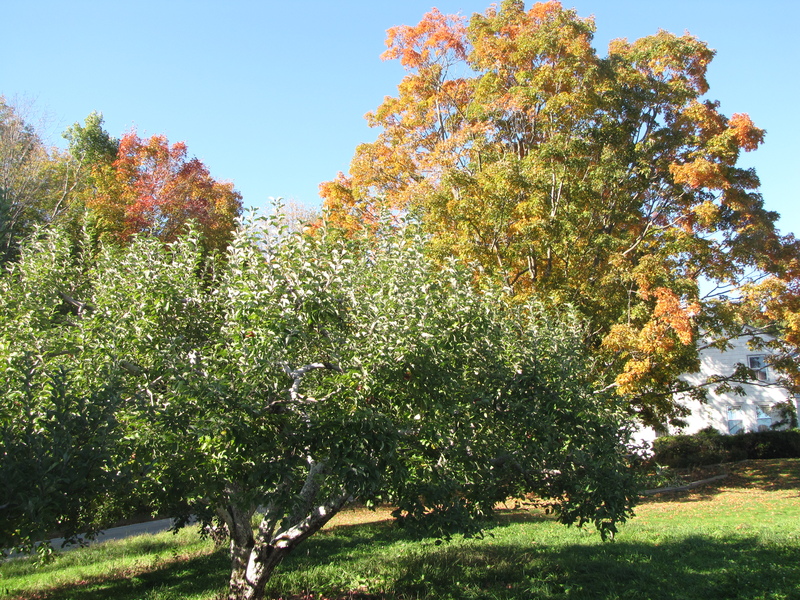 MY THREE FAVORITE heirlooms are Cox’s Orange Pippin (England, 1825), Baldwin (Massachusetts, 1740), and Northern Spy (Connecticut, 1840). 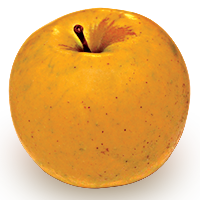 Cox’s Orange Pippin’s complex flavor is the best of any apple I have tasted. 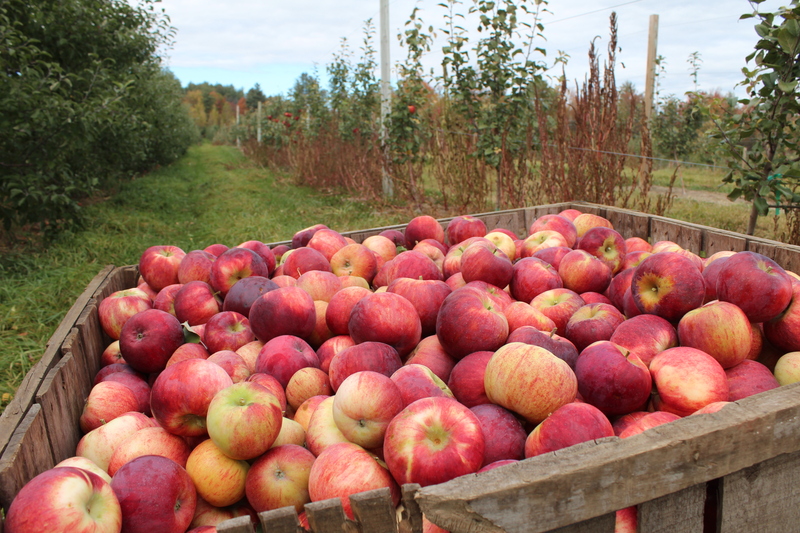 Cox’s Orange Pippin is hard to find, and orchards sell out by December. 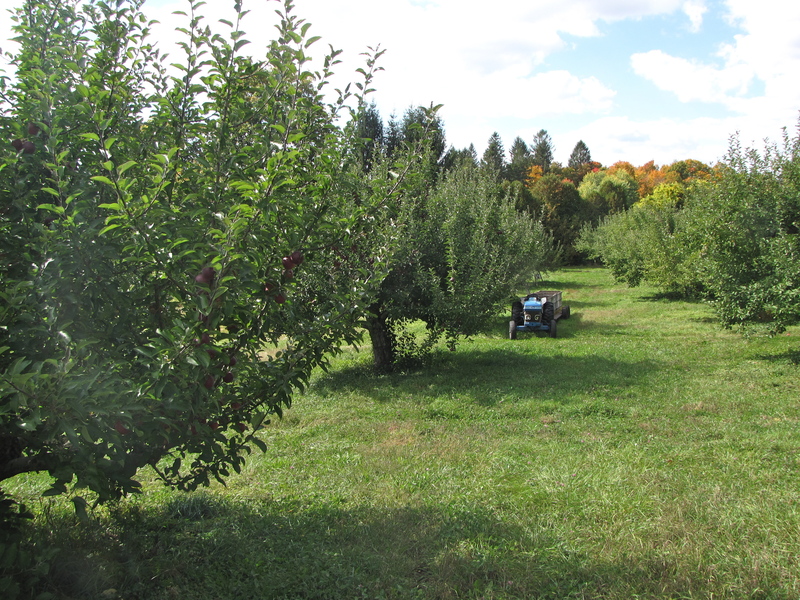 After dominating apple production in the Northeast for more than a century, Baldwin and Northern Spy were surpassed in the 1930s by McIntosh and Cortland, which are easier to grow. 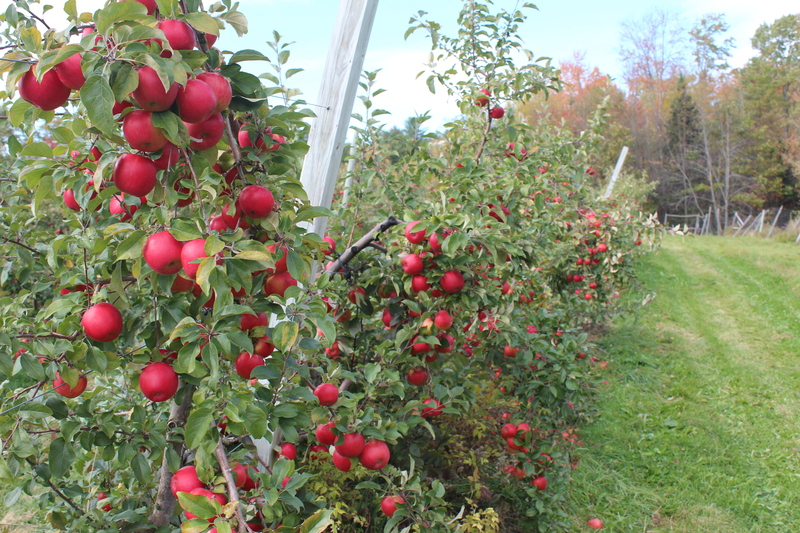 Fortunately, you can still find these heirlooms at many orchards, and because they store so well, supplies often last through December. 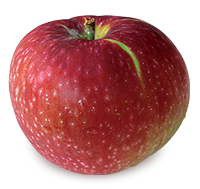 From an eating standpoint, both Baldwin and Northern Spy are superior apples, and they are especially good in baking: large, firm, and they hold their shape. 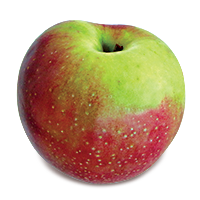 Northern Spy in particular has been a favorite pie apple for generations of bakers. 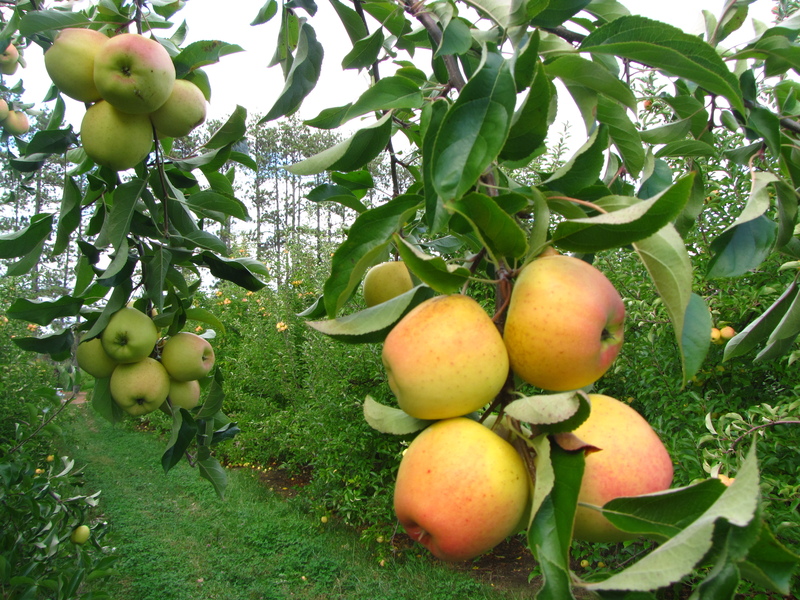 Baldwin and Northern Spy are good eaten fresh, too, lively, spicy, with some tartness. 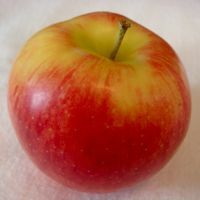 In general I like my apple to have a little bite, some tang, a degree of tartness. 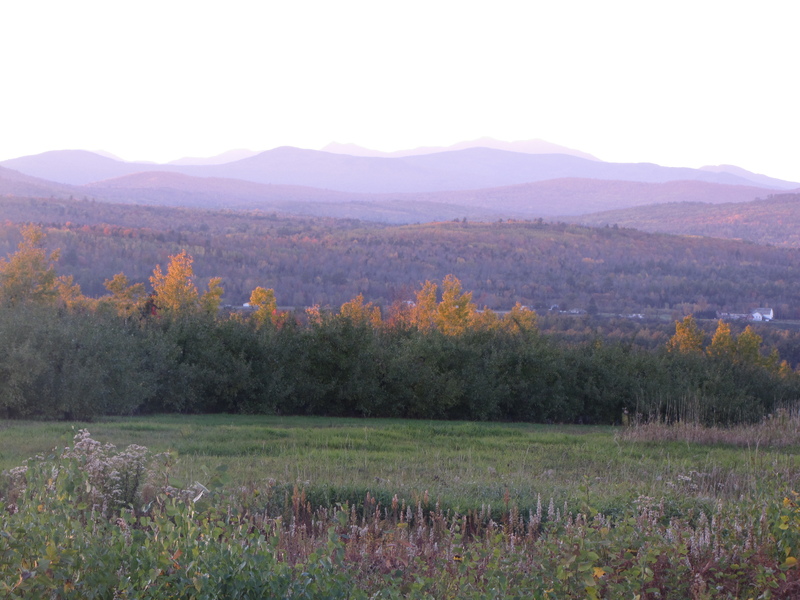 It goes with being a New Englander, the complex flavors analogous to living with the four seasons. 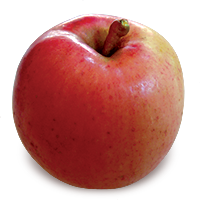 An apple with some spiciness or tartness broadens my experience of flavor. 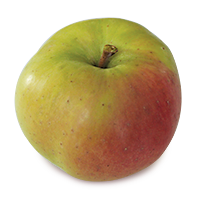 I like a sweet apple now and then, though, and there are some good choices, like the russeted, pear-flavored Hudson’s Golden Gem (Oregon, 1931). 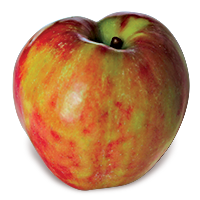 But I put Honeycrisp (Minnesota, 1991) at the top of my sweet apple list, followed by Gala (New Zealand, 1934). 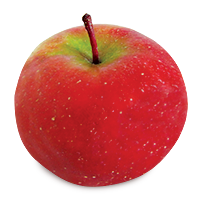 Honeycrisp has a distinctive, light-crisp texture that explodes with more juice than any other apple. 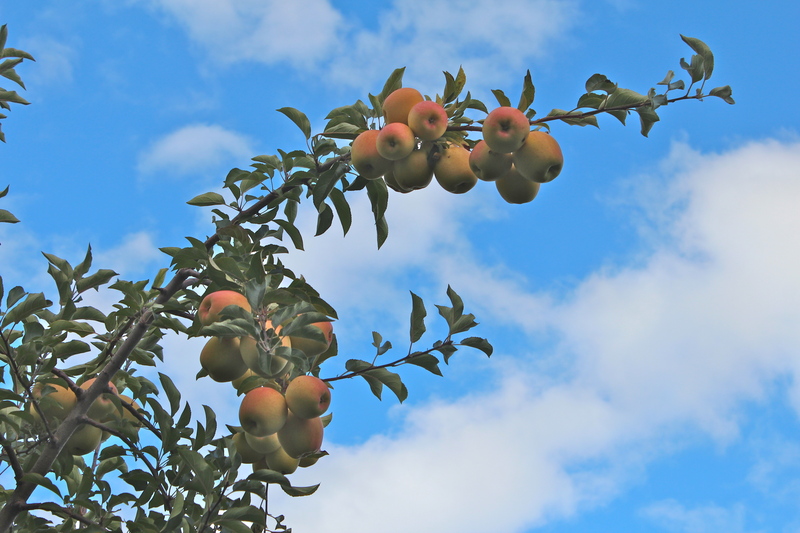 It is the biggest new variety to hit the apple industry in the past 50 years, and its success has apple breeders around the globe scrambling to develop the next pomological superstar. 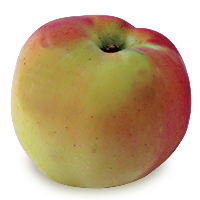 Gala is the Golden Retriever of apples, ubiquitous, not the most complex creature but irresistibly sweet, and beautiful to behold. 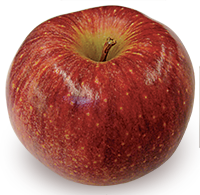 With its pear-like taste, Gala is a more flavorful alternative to the sweet, bland Red Delicious. 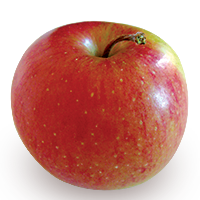 Both apples have a distinctive conical shape, but Gala’s color is more complex than the monochromatic Red Delicious, turning gradually deeper shades of yellow, red, and orange in storage. 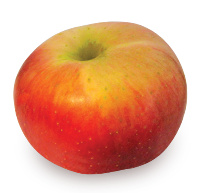 Two fresh-eating apples on my favorites list are Macoun (New York, 1923), and Jonagold (New York, 1968). 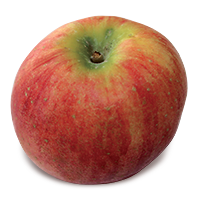 Macoun has some of the pleasing tartness of its McIntosh parent but a crisper texture, and a complex, spicy flavor with hints of strawberry. 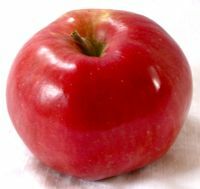 I love its wine-red color and boxy shape. 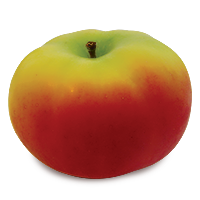 Jonagold has a light-crisp, juicy flesh similar to Honeycrisp but not as sweet, with just enough tartness to give it depth. 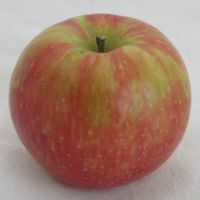 Jonagold happens to be beautiful as well, a fiery blend of gold and red from its Golden Delicious and Jonathan parents. 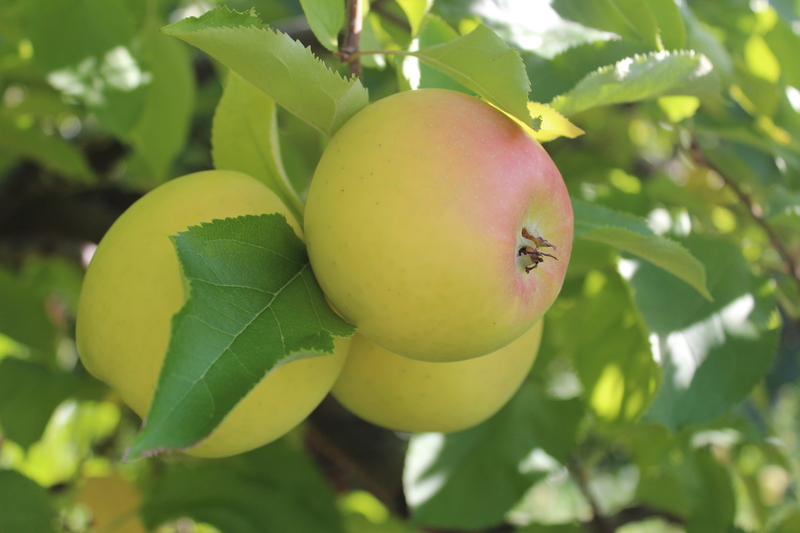 Popular at orchards and at farm stands — and especially in Europe — Jonagold curiously has not yet caught on in most of New England’s supermarkets. 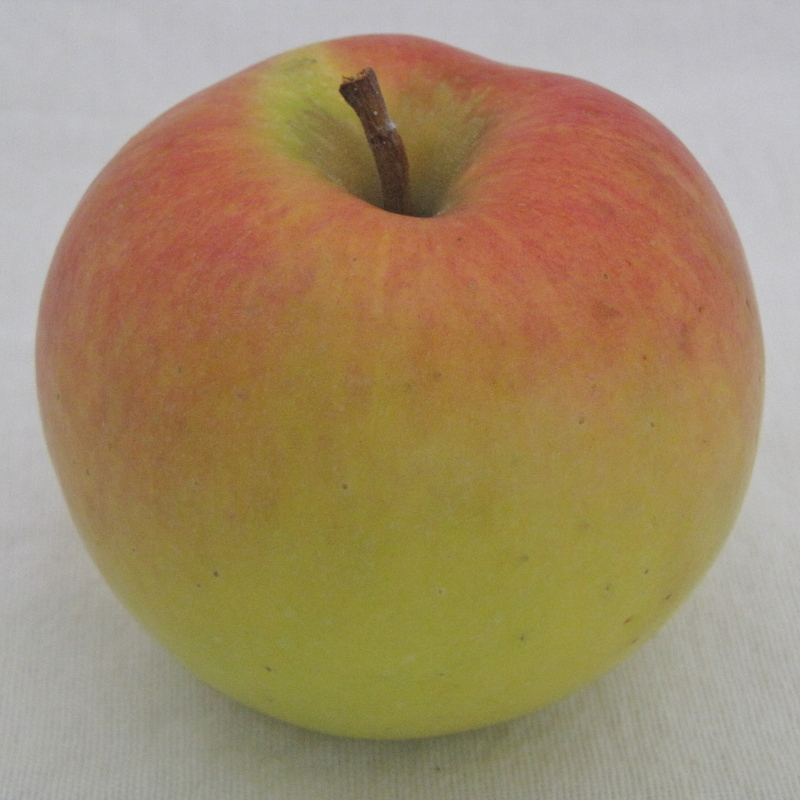 I must include McIntosh (Canada, 1801), available throughout the year. 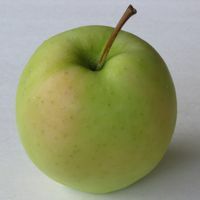 McIntosh is the standard, the staple, so consistently good and widely available that I sometimes take it for granted. 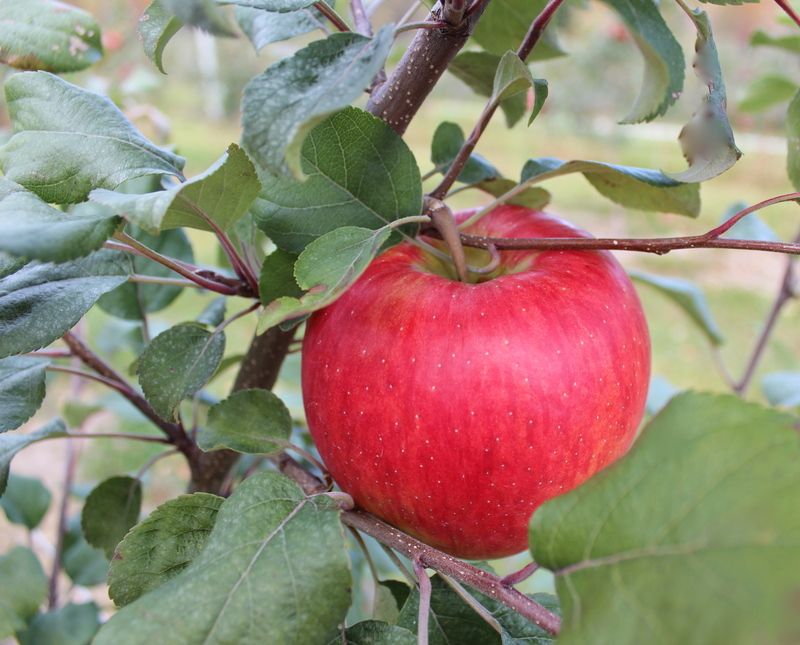 But there are good reasons that this durable heirloom, is New England’s most popular apple. 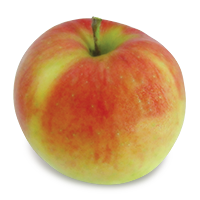 McIntosh has great flavor and aroma, refreshingly crisp and tart when first picked and mellowing over time, a little sweeter and juicier in storage. 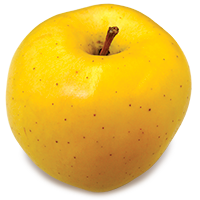 It’s great for fresh eating. 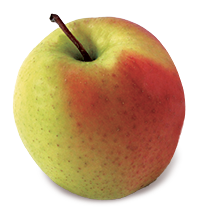 McIntosh adds exceptional flavor to almost any baked good. 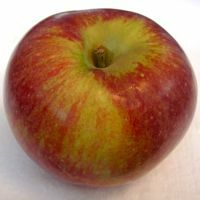 Some people don’t like the fact that its tender flesh tends to break down when baked, but this is not always the case, and it can be ameliorated by mixing in a few firmer varieties. 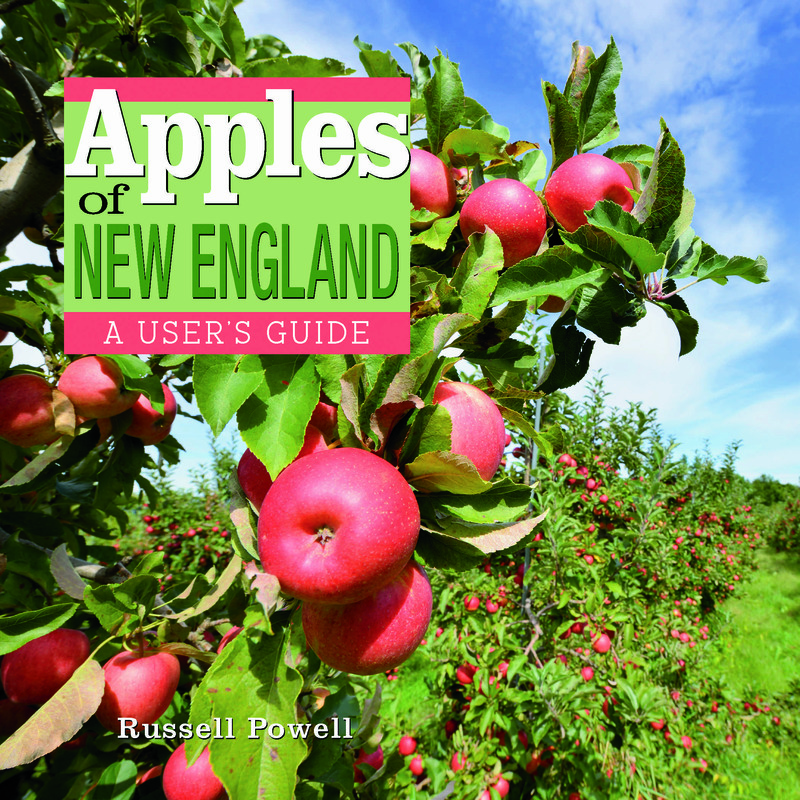 The ingredients for Peg’s New England Apple Squares include cornflakes in the filling, which soak up excess juice and contributes to the pastry’s firmness. 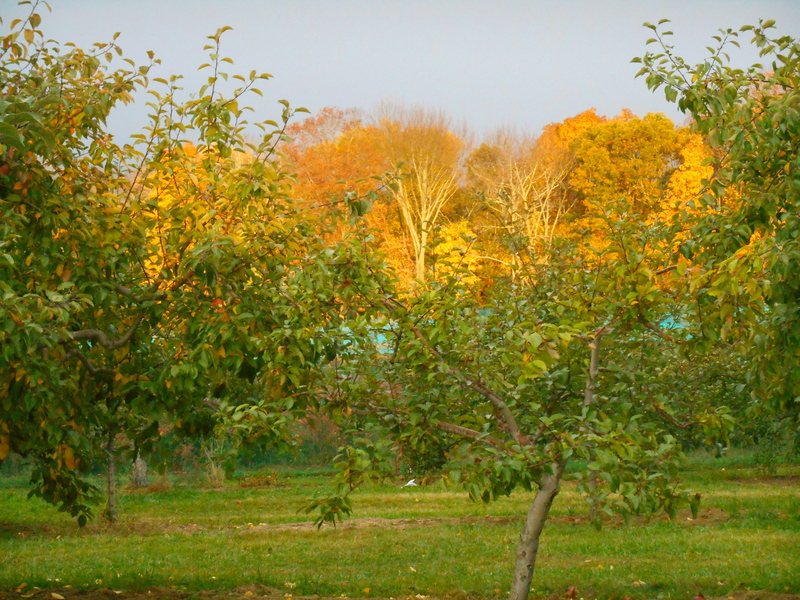 Those are my choices, a favorite apple for all purposes, and for all seasons. And you? 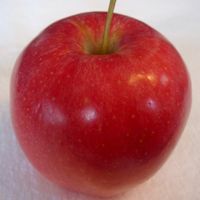 What is your favorite apple?